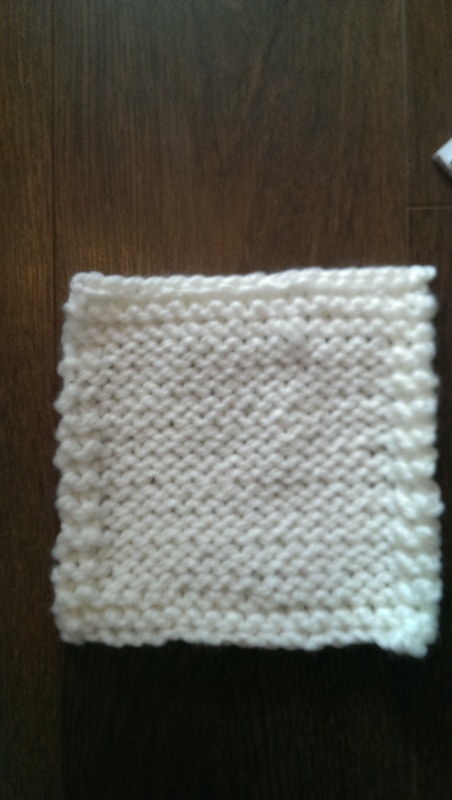 This blanket is part of a series of books Big and Little Knitting Projects. 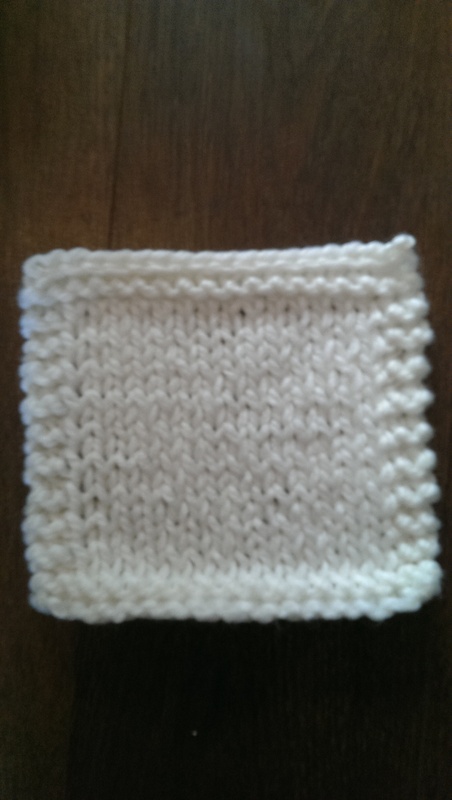 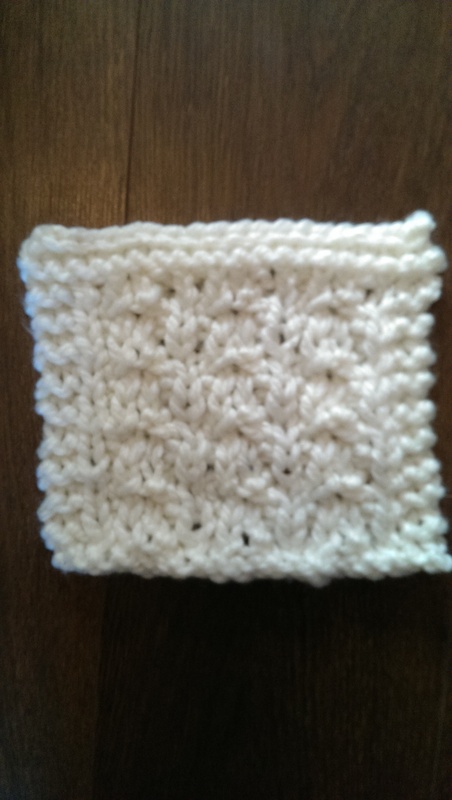 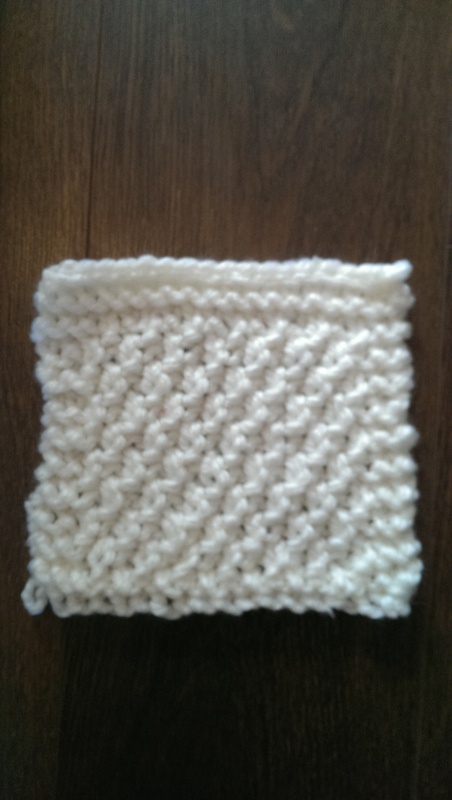 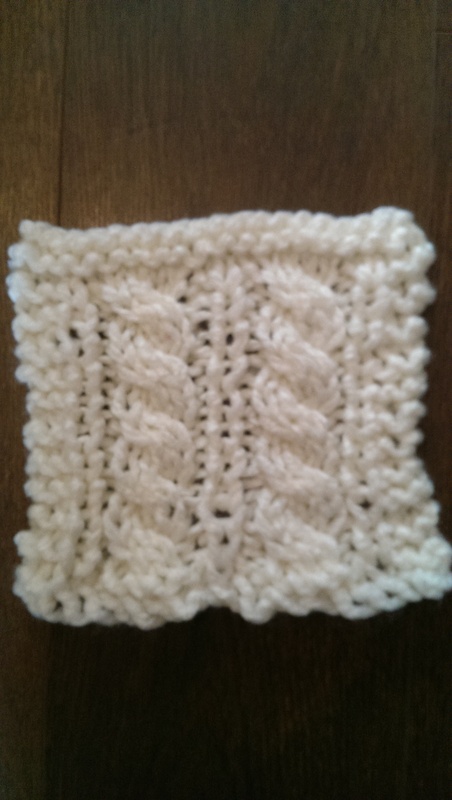 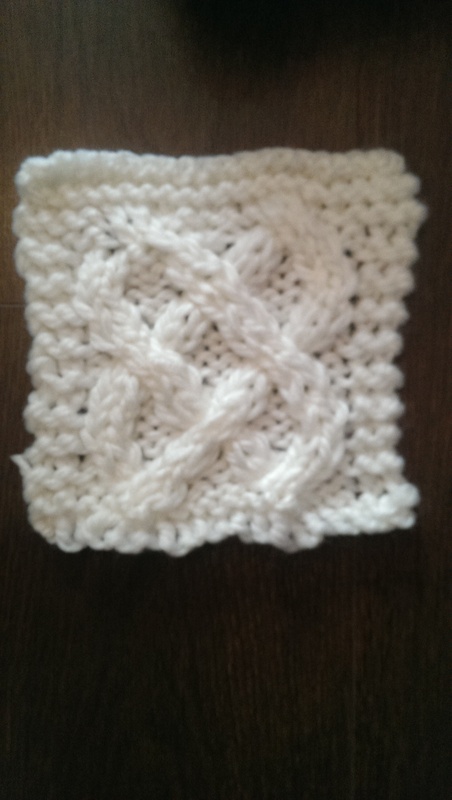 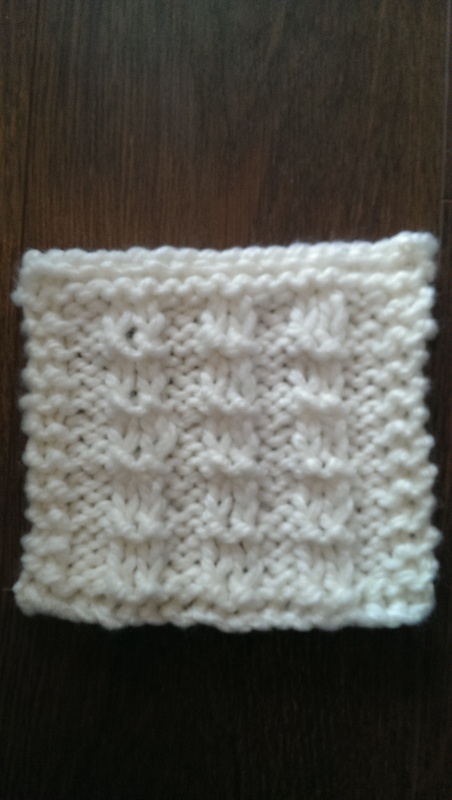 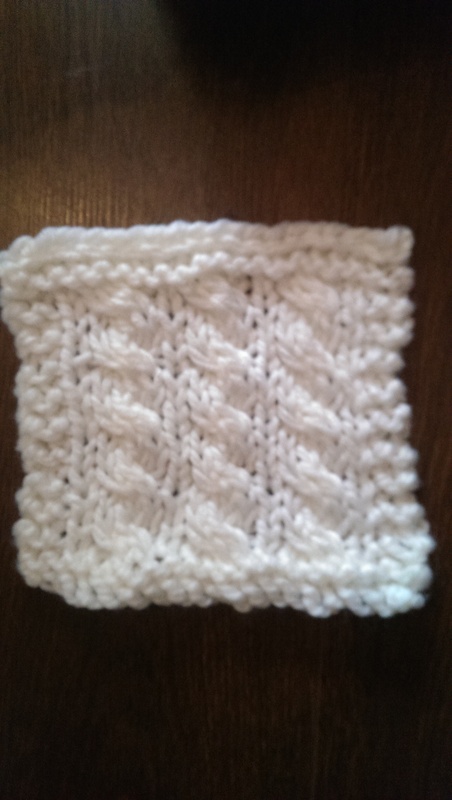 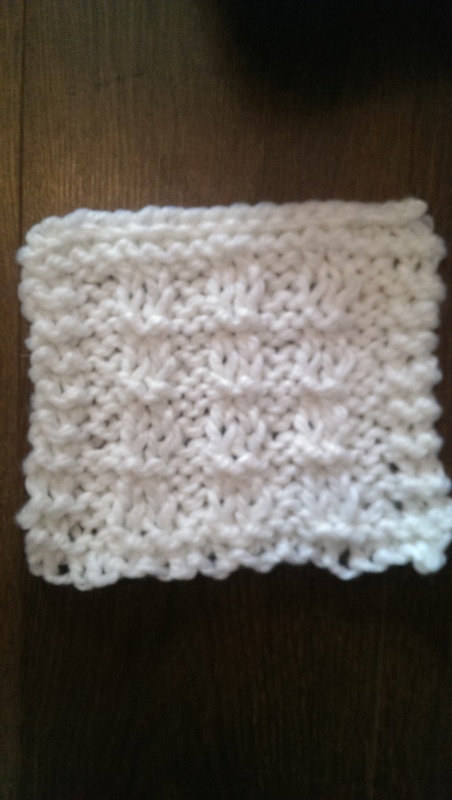 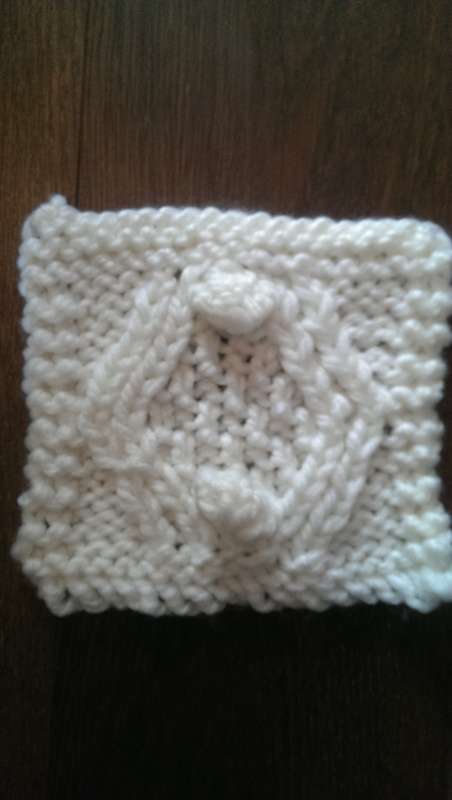 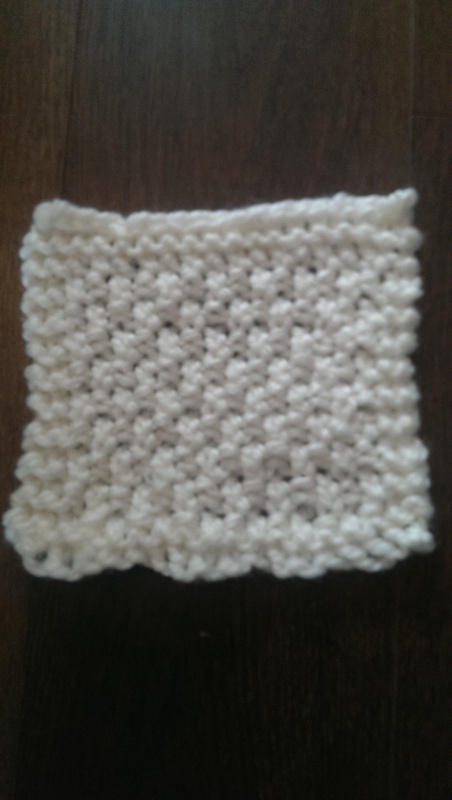 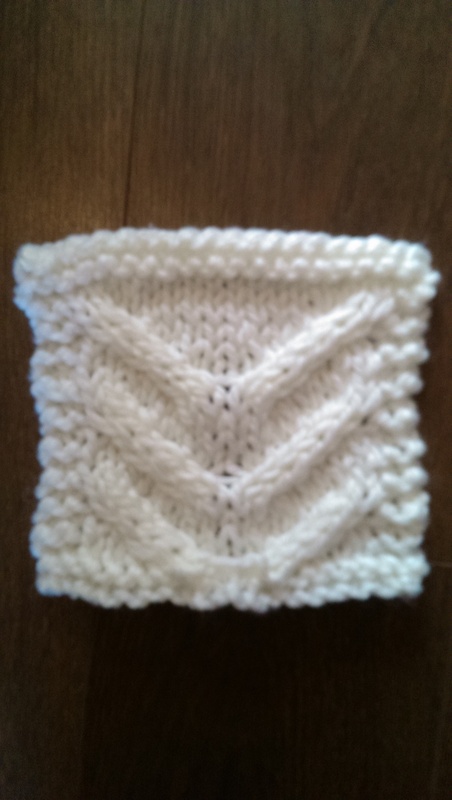 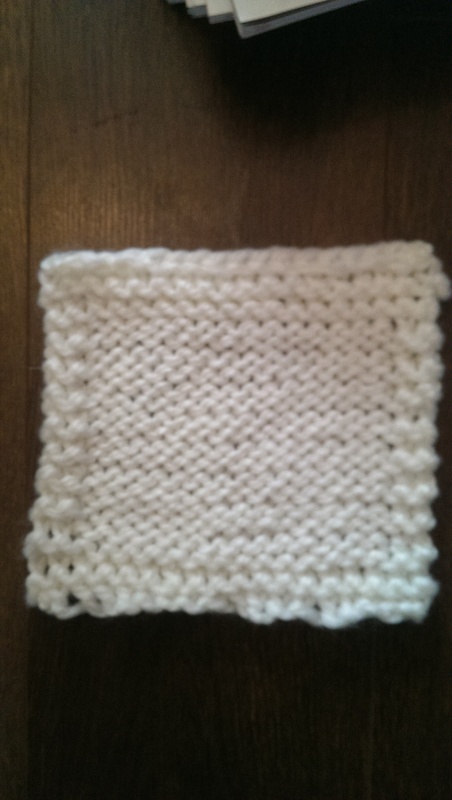 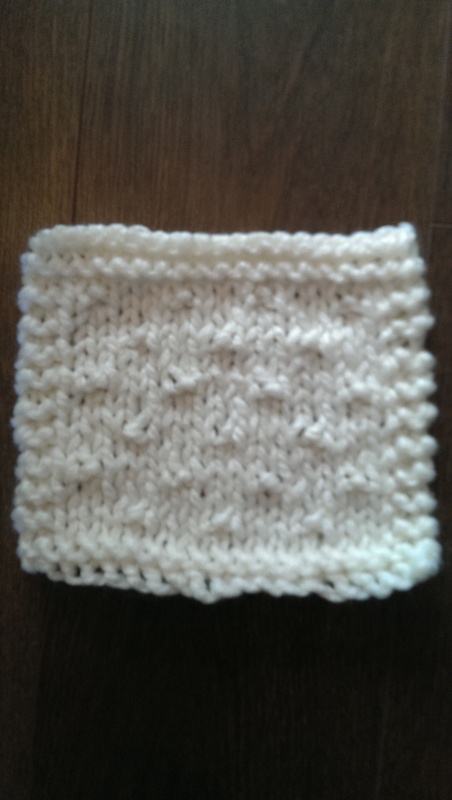 It uses 10mm needles, chunky cream yarn and is worked up in 20x20cm squares. 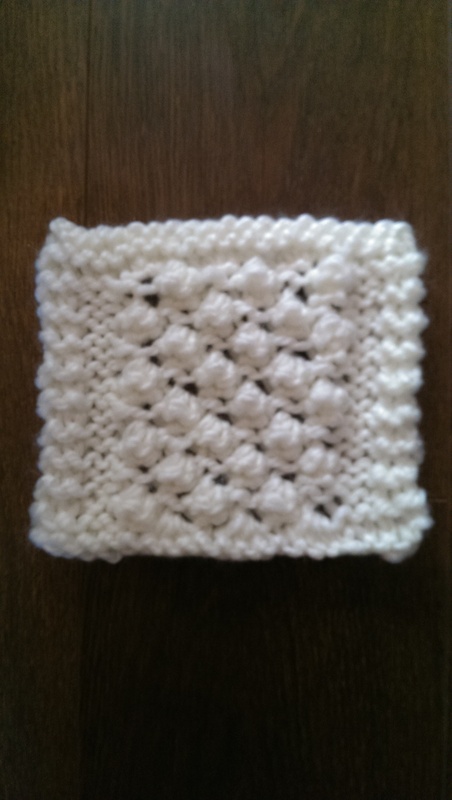 Each square uses different techniques and patterns and some are repeated throughout. 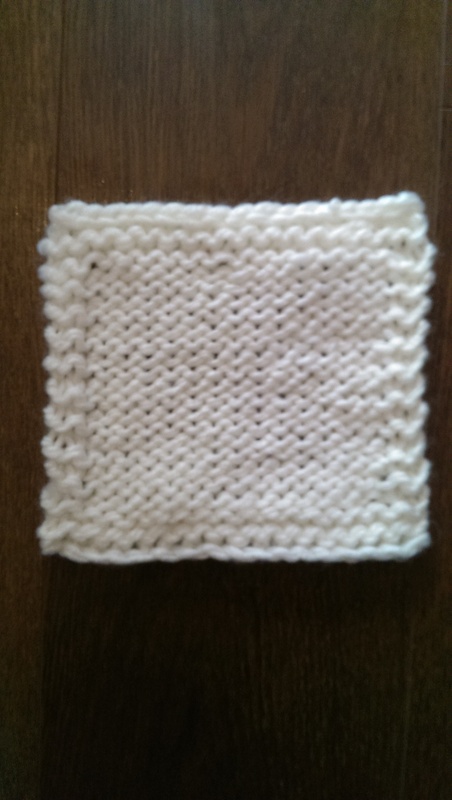 I am not sure just how many squares there will be but to date (16/08/2015) I have 23 worked up and another 26 to go. 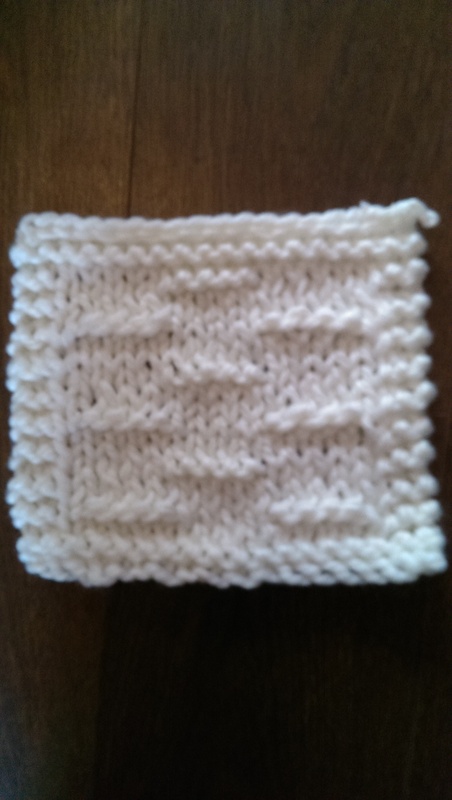 I’m sure there are even more after this. 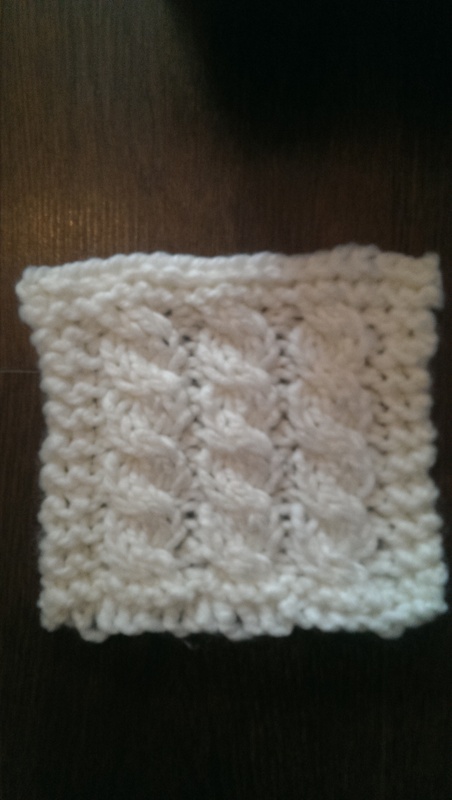 My tension is a little off with these causing bigger or smaller end results but as I am using techniques I am unfamiliar with, I’ll give my self some slack . 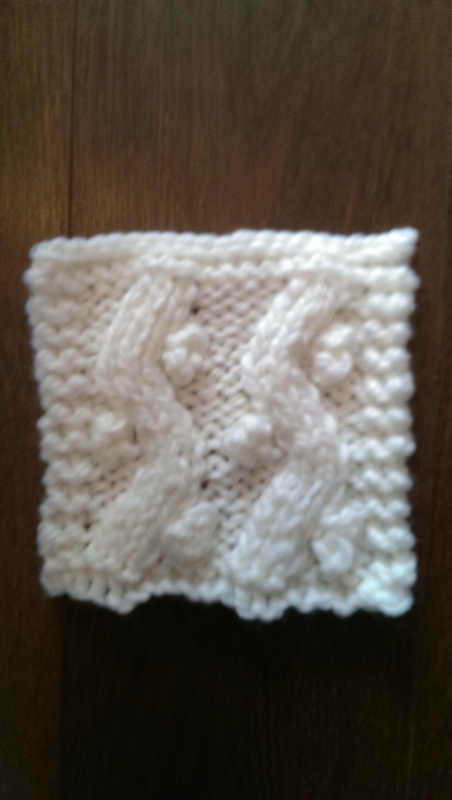 All squares are unblocked so forgive the wiggled on some. 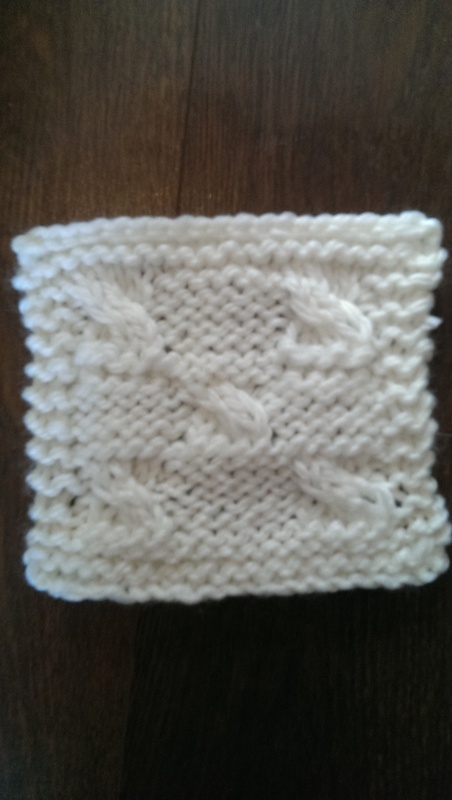 I dint particularly want to block them as I’ve found it takes the ‘fluff’ out of this yarn and it hasn’t been stated to do so as if yet, so I am hoping they will straighten at the time of joining. 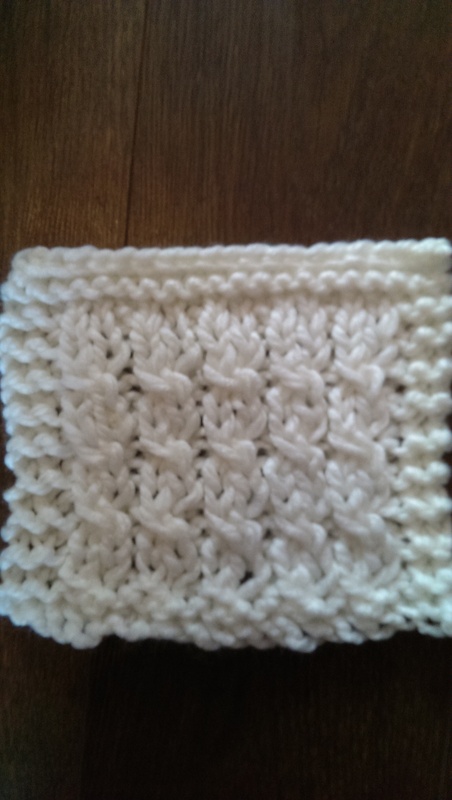 Pictures may take a while  and be gentle haha when I started this (a fair while ago, almost a year, I wasn’t an expert at knitting. 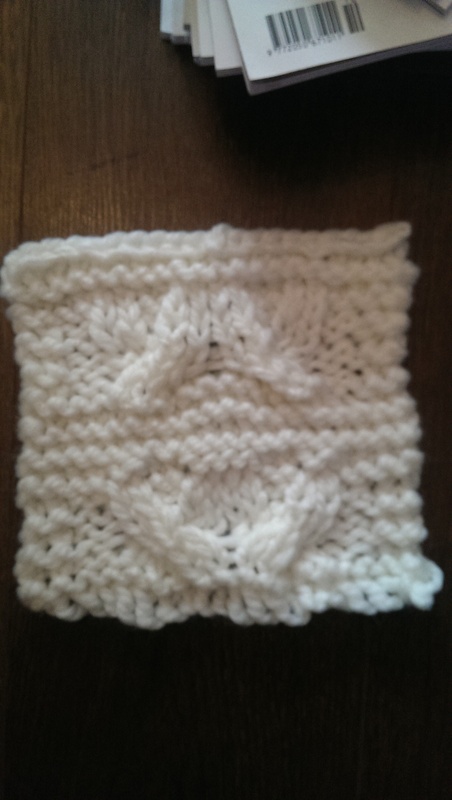 I used hand cast in as I couldn’t for the life of me work a normal cast on. 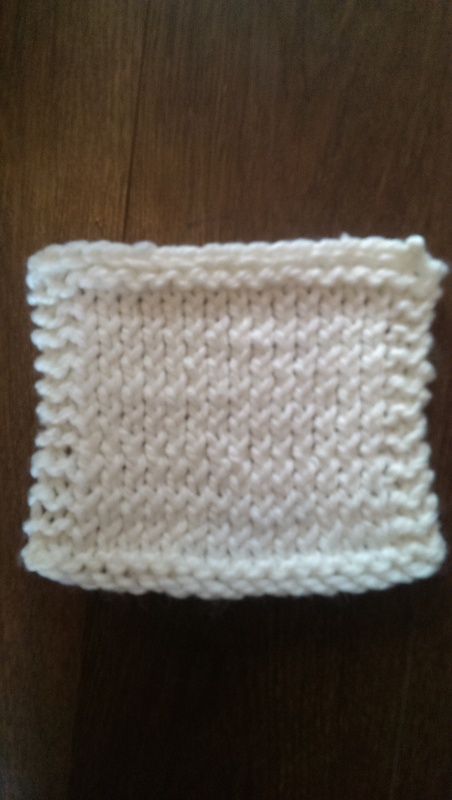 As they progress you will see them becoming neater and straighter, as I’ve since learned needle cast on and got better at knitting).